Fun children's lighting's a blast with this sweet light up rocket decoration. Lit by warm white LEDs, this wooden rocket adds a splash of colour and light to your child's room with a magical star light effect. 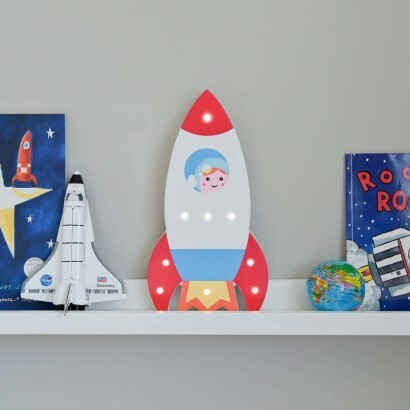 Battery operated, this fun rocket light can be free standing or wall mounted making it easy to place giving your child the comfort of gentle fairy lights night after night.